It was roughly in the same years that Robert Mapplethorpe and Andy Warhol shot their self-portraits in cross-dressing. 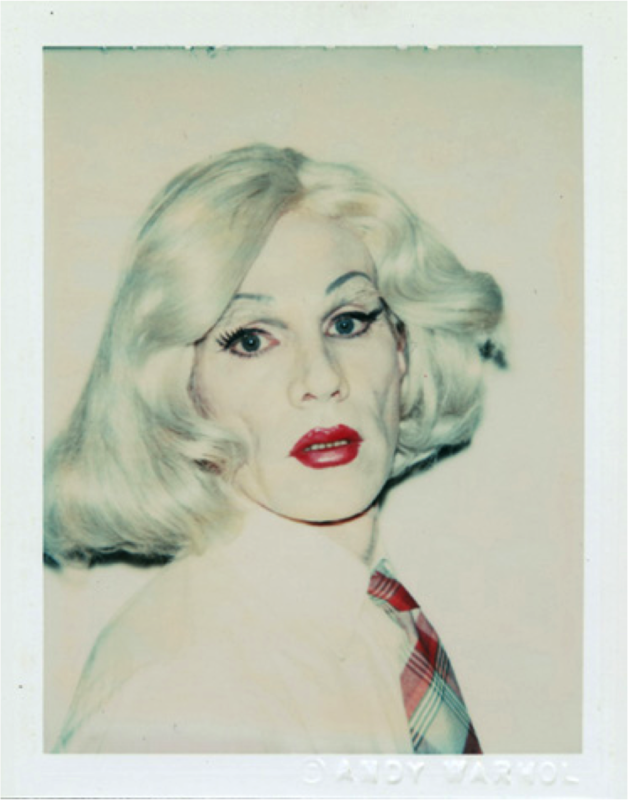 In his 1980-82 series, Warhol chose an extreme make-up (the white foundation almost clownish) and different wigs of unnaturalistic colours, plus an ironic diva expression — but he downplayed the “artistic” conception by shooting the pictures on a prosaic Polaroid (which thirty years later we would all unconsciously imitate on Instagram). On the other hand, Mapplethorpe (1980) went for a natural hair style and a more sober make-up — his pose at once more artistically self-conscious and less affected. My preference (for all it matters) instinctively goes to Mapplethorpe’s 1980 self-portrait below. 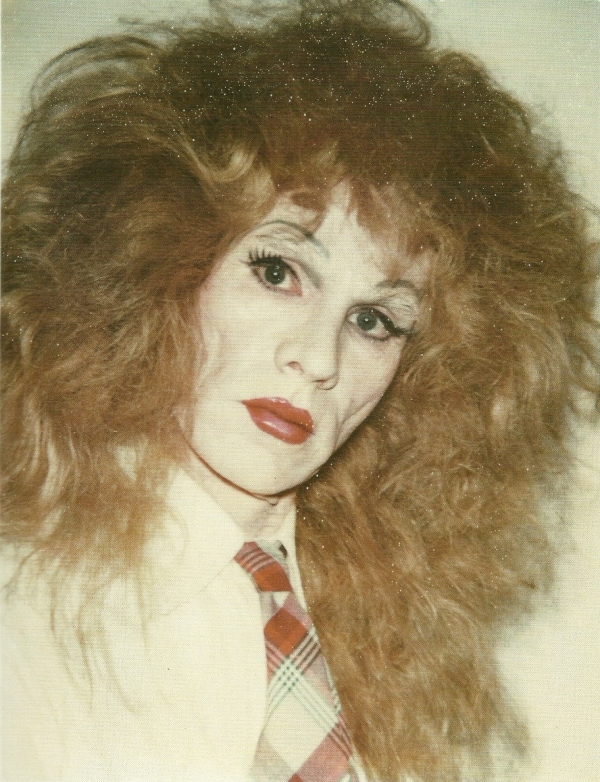 The role of make-up is more baffling, not as self-consciously parodying as Andy Warhol’s and not quite advocating for the persuasiveness of the cross-dressing. Staring straight at the camera and bare-chested, the artist is more vulnerable and exposed than Warhol would ever find it in him to be. Thank YOU! I really adore your analysis, and find it well done. I’d love to repost it on my blog, if you don’t mind. I couldn’t have done better myself, and would love to share it with my small group of readers. It would be my pleasure — you are very kind.